The use of cork in manufacturing various household and personal products is gaining momentum these past few years. 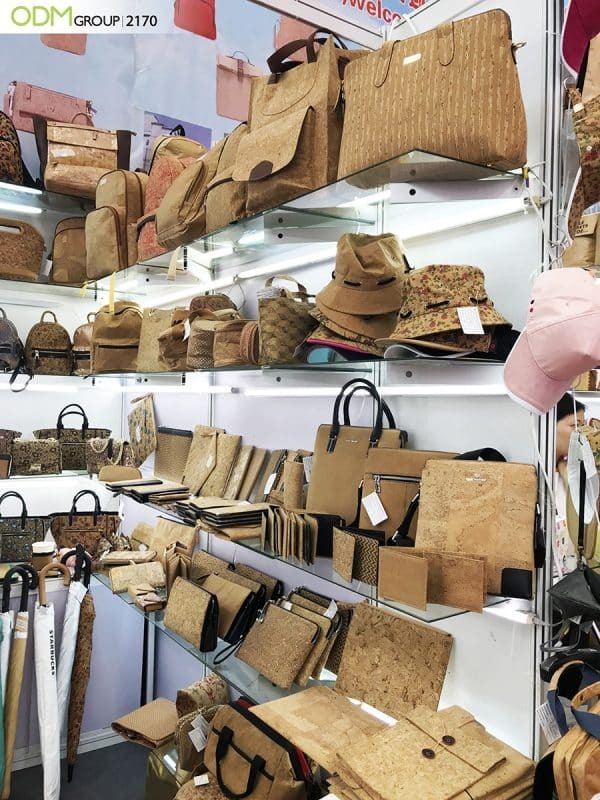 With the current problems in the leather industry and its environmental impact, manufacturers see cork as a wonderful alternative. That is why we believe the need for custom cork products will increase in the years to come. 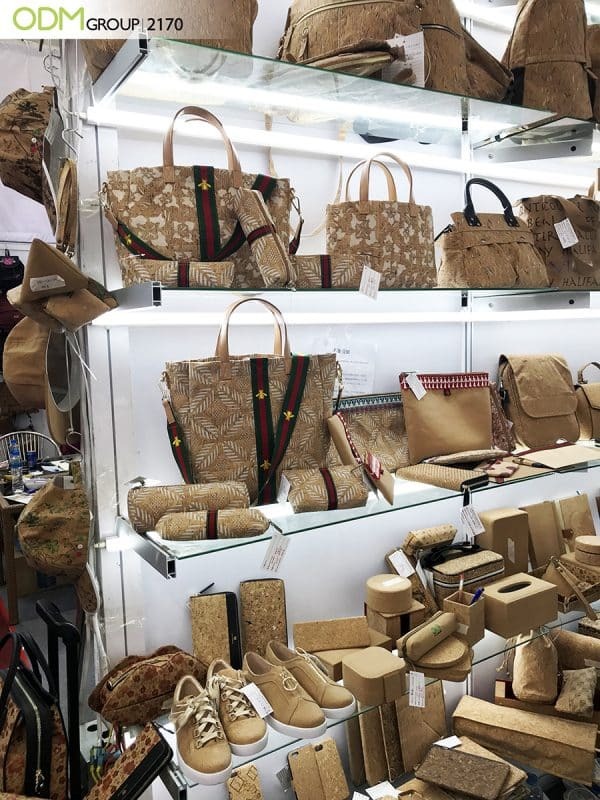 We found this huge collection of cork products at the 2018 Canton Fair (Phase 3). Great designs and huge branding opportunities are what we love about them. Our previous blog about custom cork products focused on its marketing potentials. But in this blog, you will get a glimpse of the manufacturing process and its applications. Why We Love Custom Cork Products? Cork is a very versatile material that is easy to work with. It is soft to the touch, water and fire-resistant, durable, as well as termite resistant. It is also more affordable than leather, which makes it perfect for business promotions. More importantly, cork products have less carbon footprint, meaning, they are eco-friendly. 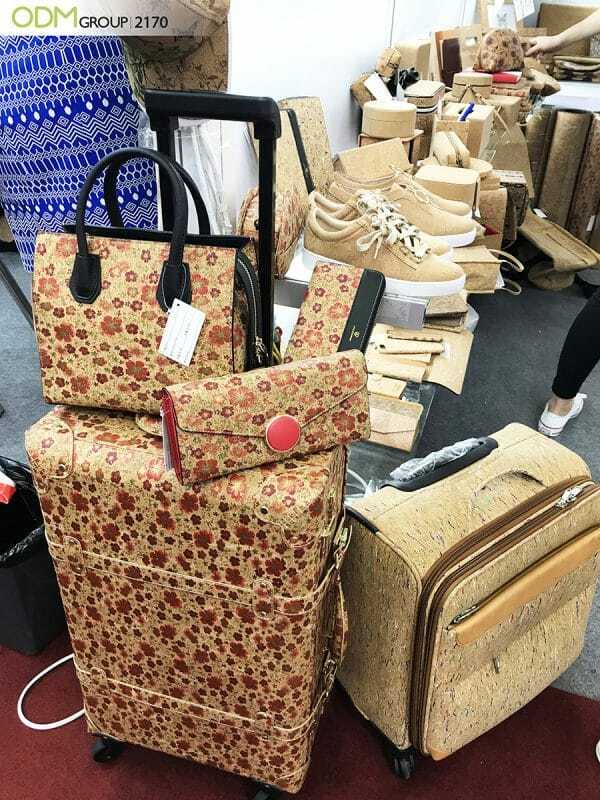 Compared to last year, this years trade fair saw a vast array of new and unique cork products including bags, sneakers, wallets, pen holder, fashionable tote bags, travel luggage, caps, hats, school and office supplies, smartphone case, and umbrellas. How to use cork-based products? Wine Industry– Cork stoppers are extremely important in storing wine. Hence, the wine industry is the perfect venue to use them. As Product and Food Packaging Solution– It provides the same durability as other packaging materials. Promoting Cause– Can be a great way to spread the word about sustainability and environmental issues. Mobile Companies– Cork phone cases are a great deviation from the usual plastic and silicone cases. Check out this previous blog. From bottle stoppers to flooring and bags, cork is immensely versatile. But have you ever wondered how this durable and sustainable material is manufactured? Harvesting Cork Bark: Cork is harvested from cork oak (Quercus Suber) that typically grows in the Mediterranean. Harvesters strip the bark that has matured to 20 years. One reason cork is a sustainable material is that, bark can be harvested from same tree every ten years. Boiling: This is an important process because it softens the bark and allows workers to remove the hard outer part. Making the Fabric: To produce cork fabric for bags, wallets, caps, and umbrellas, slabs are cured and trimmed into thin sheets. They are great substitute for canvas, cardboard, leather, and upholstery fabric. If you want your cork fabric a certain color, our product designers at Mindsparkz can help. We can also create high quality product designs for various markets and marketing budget size. We also make sure that factories work around your requirements by doing factory visits. If you are interested in this product, include in your inquiry code 2170 to get quote. Aside from unique promotional products, we also create marketing gifts, as well as POS display units. Contact us today!